Actor Daggubati Rana who starred with Thala Ajith in Arrambam has praised the handsome hero. Currently Rana is waiting for the release of his forthcoming two epic movies Baahubali under the direction of SS Rajamouli and Rudhramma Devi under the direction of Gunashekhar. Rana’s recently Bollywood movie Baby starring Akashy kumar is a blockbuster movie at the box office. 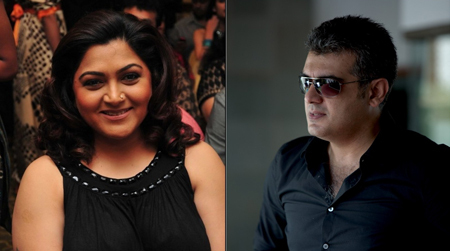 Actress Kushboo to Produce Ajith’s Next?